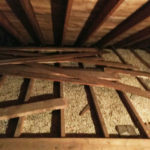 In May, Cardinal Environmental was contacted by the homeowner and requested to visit his home and provide an estimate for abatement of vermiculite insulation in their attic. We were one of 5 companies to submit a bid for this job and the homeowner chose us to do the work. 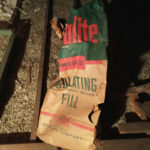 Due to the sheer amount of loose-fill vermiculite cellulose involved, our General Manager; Chris Drumm, decided to purchase a state of the art vermiculite removal vacuum system for this effort. 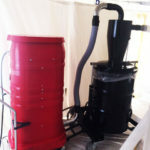 The vacuum allows for the safe collection by containing and filtering harmful materials in a pre-separator with a 55 gallon pre-bagged tipping drum for collection preventing dangerous contaminants from escaping into the air. Cardinal worked with the homeowner to obtain a rebate from the vermiculite production company, as well as MASS Save to get a rebate on home upgrades by providing him with all the necessary paperwork he needed in order to file the claim. The homeowner’s father was so pleased with our work that he offered to recommend us to his friends and acquaintance.